Shine is located in the United States and ships to most countries worldwide, including Canada, Australia, the United Kingdom, New Zealand, Denmark, Sweden and France via the following services. *Customs, taxes, brokerage and other import fees are the responsibility of the buyer. Our international shipping prices do not include fees that may be applied to your order upon delivery in your home country. Heavy cardstock with a white base and subtle shimmer finish. Thick white cardstock with a soft, matte, uncoated finish. Luxe cardstock with an ivory base and subtle shimmer finish. Thick off-white cardstock with a soft, matte, uncoated finish. A single envelope is used for most wedding invitations. The names of all invited guests as well as the mailing address will be listed on the front of the envelope. Double envelopes, also known as "inner and outer envelopes", are more formal. The mailing address and family name are listed on the outer envelope, while the inner envelope lists all invited guests. This eliminates confusion as to who's invited and who's not, and creates an intimate feel. The inner envelope also adds protection to your suite as it travels through the mail, plus conveniently holds all of your invitation components. Our do-it-yourself liners include professional tape strips for quick and easy assembly. For double envelopes, only the inner envelope will include liners. Our full service guest addressing option saves you the time and stress of handwriting each envelope, while creating an elegant and polished look. Your guests' names and addresses will be printed on the front of the envelopes in black ink using fonts that match your chosen design. ready for you to hand address. printed on the front of the envelope. Return addressing saves you the time and stress of handwriting each envelope, while also creating an elegant and polished look. Your name and return address will be printed on the black flap of your envelopes in black ink using fonts that match your chosen design. For the ultimate in tradition and etiquette, we can individually print your guests' names on your inner envelopes. The names will be printed on the front of your inner envelopes in black ink using fonts that match your chosen design. Only available with our double envelope option. Response cards include envelopes. We can print your address on the front of the envelope so your guests can easily return their response to you. Printing is done in black ink using fonts that match your chosen design. Envelopes will arrive blank ready for you to hand address. Your address will be printed on the front of the envelope. Enclosures are small cards that go along with the main invitation and can be used for any information that can benefit guests. Some common uses are referenced below. Limit of 8-10 lines of text. Limit of 18-20 lines of text. 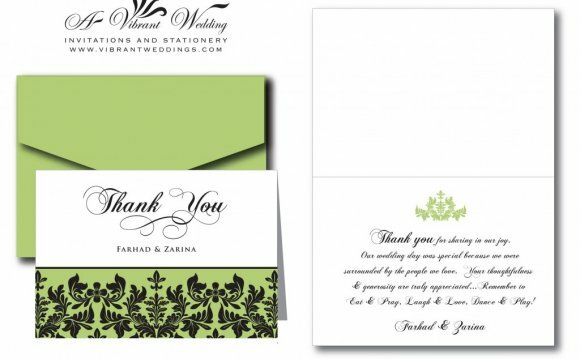 Stressed Over Your Wedding Invitations and Thank You Cards? !